They always say you ought to write what you know, which is why so many films chronicle the creative process. From Sunset Boulevard to Adaptation, Hollywood’s favourite subject is itself. But great as they are, most of these films seem determined to make the audience understand the pain of the artist, the stress of putting together a production, how hard it is to make something look effortless. It’s rare to find a film that appreciates the finished product above all, and understands the spell it casts over the ordinary person sat there in the dark. 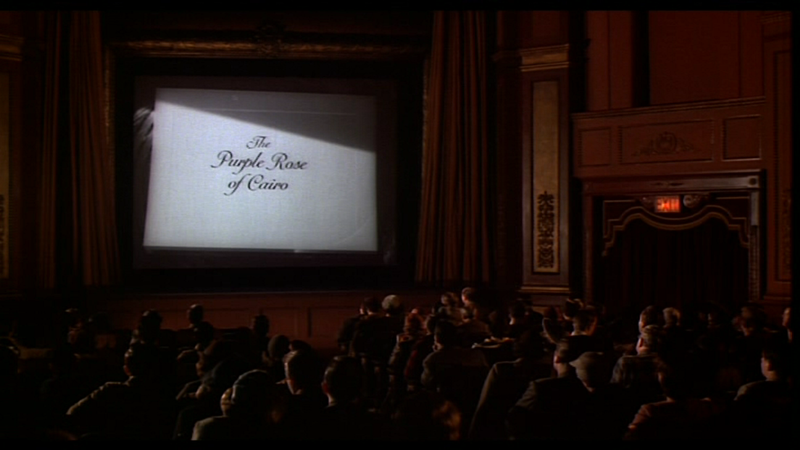 Woody Allen’s The Purple Rose of Cairo is one of those films. Set in Depression-era New Jersey, it stars Mia Farrow as Cecilia. She’s a timid woman with an abusive husband (Danny Aiello), and a stressful waitressing job which she constantly jeopardizes with her clumsiness and daydreaming. Her only comfort is the cinema, where she can lose herself in shimmering Hollywood gloss for an hour and a half. I watched Radio Days last night, but I don’t feel like writing up a full review. It’s one of my favourites, so I’d either dissect it and spoil it for myself, or overflow with praise and make you physically sick. I know, I know, I’m a bad critic! Anyway, I did feel like sharing one of my many favourite lines from the film. I compromised when I picked Martin. I mean, I wanted someone tall, handsome and rich. Three out of three I gave up. I may have been too rash in awarding Ginger Rogers the title Ankles of the Week on Friday. A viewing of The Lady Eve made me seriously consider revoking her award and giving it to Barbara Stanwyck. But Miss Rogers won the award fair and square, and it’s only my own indecisiveness that put it in jeopardy. Or is it? Anyway, I have decided to replace weekly awards with daily ones. Not every day, of course, that would be absurd. But today I do have an outstanding quote to present to you. Quote of the Day was taken from Bullets Over Broadway (1994), directed by Woody Allen and co-written by Woody Allen and Douglas McGrath. It’s one of those Ronseal titles, isn’t it? You know, does exactly what it says on the tin. 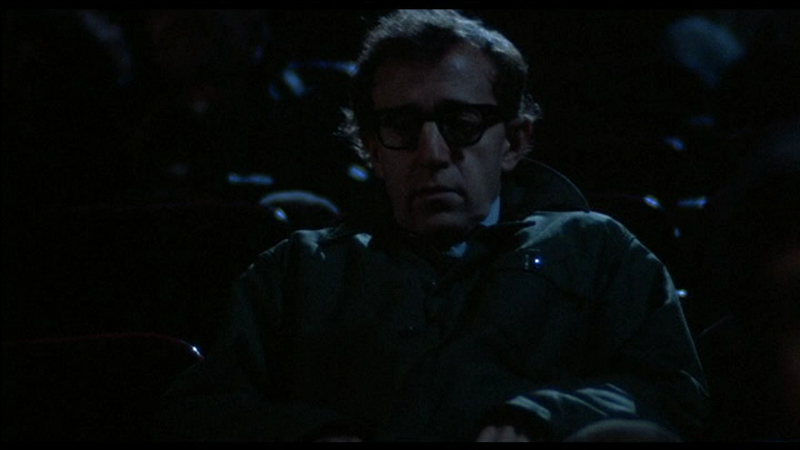 Manhattan Murder Mystery (Woody Allen, 1993) is a murder mystery set in Manhattan. There’s a mystery and a murder. And all this murder and mystery happens… in Manhattan. "My life is passing before my eyes. The worst part about it is that I'm driving a used car."